(CBS) Gluten-free products are more popular than ever, as the number of people claiming gluten sensitivity is on the rise. But is saying no to gluten really necessary? A new study suggests that most of the time, it's not. Gluten intolerance causes celiac disease, a digestive disease that damages the small intestine and interferes with the absorption of nutrients from food. Celiac disease is diagnosed through blood and bowel tests. But some people not diagnosed with celiac disease can still experience discomfort after eating gluten, a condition which researchers refer to as nonceliac gluten sensitivity. Symptoms of gluten sensitivity include diarrhea, stomach cramps, bloating, headaches, and fatigue. Nonceliac gluten sensitivity is supposed to be much more common than celiac disease, but there is not much scientific knowledge to support diagnoses. For the new study published in the Annals of Internal Medicine, titled "Nonceliac Gluten Sensitivity: Sense or Sensibility?," celiac researchers from the University of Pavia, Italy, explored the sensitivity that keeps growing in hype but not in understanding. They addressed the debate that gluten-free diets are surfacing in popularity on the internet without any scientific support. According to the study, there are 4,598 Google citations of nonceliac gluten sensitivity for every science journal article about the condition - more than ten times the number of citations for breast cancer, Alzheimer's disease, lung cancer, or celiac disease itself. The study authors claim that gluten has been called "the new diet villain," and marketers have estimated 15 to 25 percent of consumers want gluten-free foods. But researchers say gluten may not be the culprit in a lot of the sensitivity that patients feel. 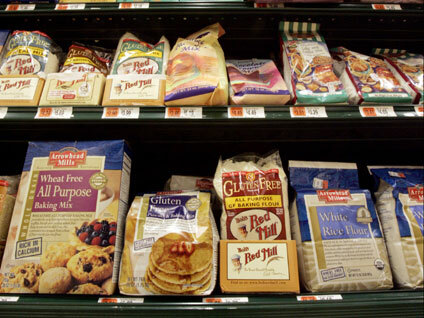 Gluten is found in products that contain wheat, rye, and barley. In the study, researchers noted that other ingredients in wheat flour or wheat-based foods may actually be causing symptoms that might be attributed to gluten sensitivity. Dr. David Greenwald, a gastroenterologist at Montefiore Medical Center in New York City, told HealthDay a lot of people who try gluten-free diets do so because they're having symptoms that suggest irritable bowel syndrome (IBS), such as abdominal pain, gas and bloating. The takeaway of the study is that one should not be too quick to diagnose gluten sensitivity. The authors recommend an "individualized approach" to recognize nonceliac gluten sensitivity, using specific gluten challenge tests on each individual before completely eliminating gluten from the diet. "Someone who needs to be on a gluten-free diet and is closely monitored can benefit tremendously from it," Dr. Stefano Guandalini, medical director at the University of Chicago Celiac Disease Center, told WebMD. "But for everyone else, embracing this diet makes no sense."